I am not normally a tea drinker. 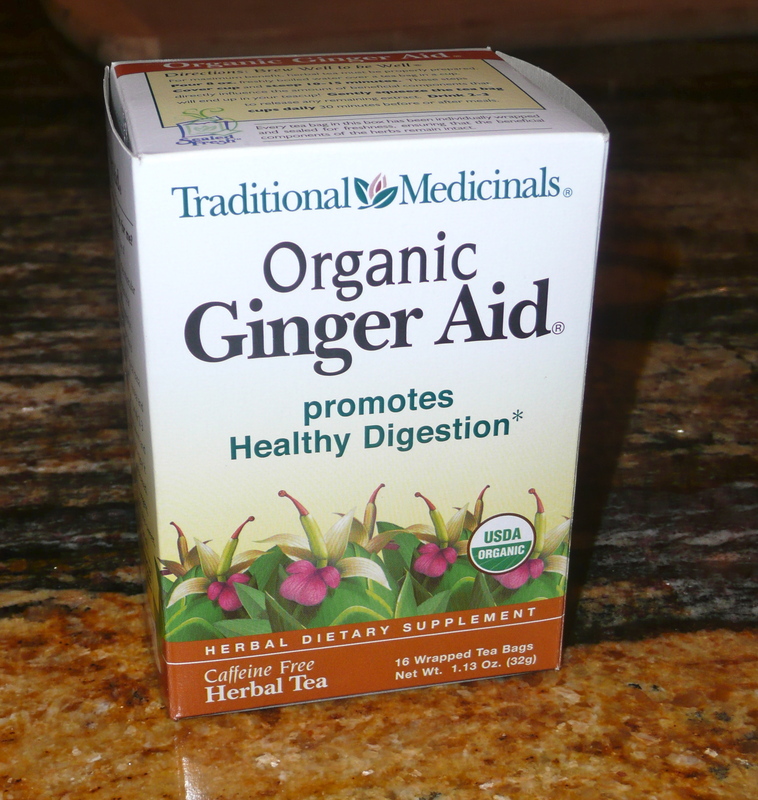 However, I did run across this ginger tea made by Traditional Medicinals that I decided to try. It sat in my cupboard for awhile as, although I wanted to try it, I feared it would be like all other teas, ie tasting bitter. The day finally came when my curiosity got the better of me. Well, I don’t know if it does all that. What I do know is that I really like it. It is quite different than drinking chamomile. With other teas that I’ve tried, I usually have to add honey as they normally taste bitter to me. Not so with this tea. So — I’ve been drinking more of this tea. I find that when I feel bloated it calms my stomach down. Finally! A tea that needs no sweetening to be enjoyed.